Lawrence Trail Hawks conducted their monthly meeting at the Lawrence Public Library on May 1. 39 members attended. Lisa called the meeting order at 7 p.m.
Josh: $20,879.26 operating fund at the moment. $10,000 expenses to spend if needed.The rest is to spend on other race expenses for the rest of the year. 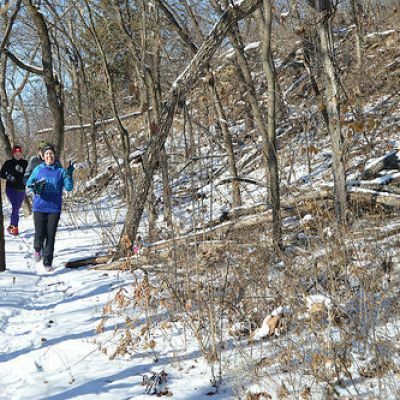 Skyline Shuffle: 45 registered, 17 that are new and have not participated on any races on UltraSignup.com. Josh used a Facebook ad to get new people to sign up. Josh is going to mark it this weekend and the weather looks good. 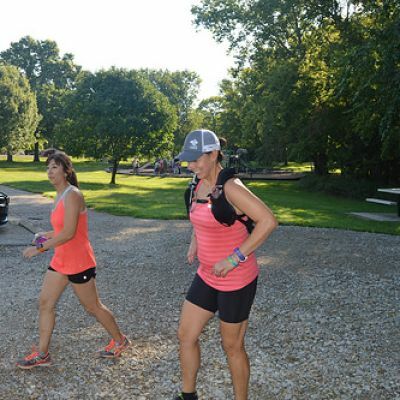 Mary Ann: Night Hawk: There are 22 people registered for the 50k, 12 for the 20 miler and 16 for the 10 mile. We are using chip timing with a 50% from Show Me timing. Hats and colors are black and yellow and they are working with Mile 90 photography again. 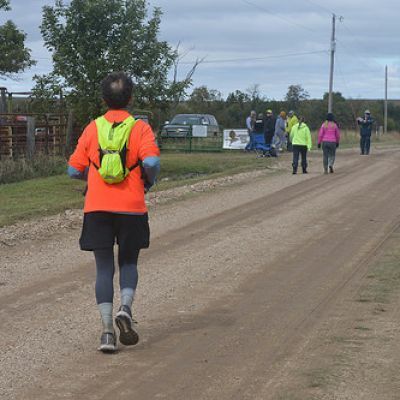 Lisa: Last year we help support Danny Lotel and his charity Fatass, Defeet Cancer. 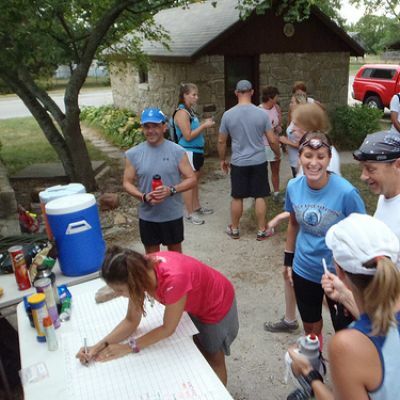 We helped raise $3,400 by supplying insurance, markings and RD raffle prizes. This year it will be on July 7. Mary Ann is working with Danny on insurance. Members voted yes to continue our support this year for the event. Kara: Race date flyers are $310 for 1,500 of them through Pro Print. 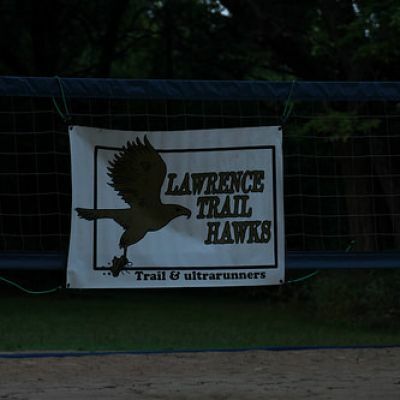 Members voted to print race date flyers that will help with advertising of the Lawrence Trail Hawk Races. Special election: The board hosted a special election for the president position. Majority voted Cara Combs as our new president. 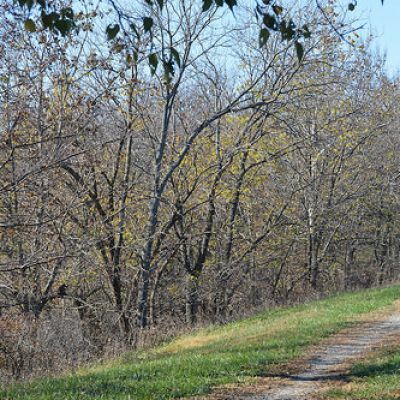 Caroline: Brought up the idea about adopting a highway alongside the road to Clinton Lake. It’s a 2-mile section that we would be responsible for removing liter three times a year for 2 years. It would not cost anything and it would have a sign along the highway that promotes our club. Caroline will look into it. Cara: Storage was moved into a bigger unit. It will need to be sorted through but should help out with our club events. Gary: Gary announced that Cara is taking over the birthday run. Josh: Josh is reaching out for professional tax help, for our tax 9-90-N if you know of anyone, let Josh know. 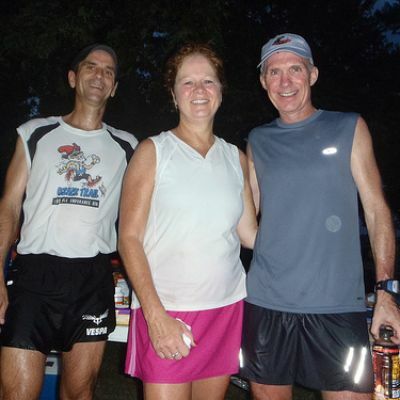 Lisa adjourned the meeting at 7:52 p.m.
50K-plus finishers - Paul Schoenlaub, Deb "Kettle Hawk" Johnson, Stu "Ozark Trail Hawk" Johnson.